YANGON — Myanmar attempts to relocate controversial hotels in the archaeological site Bagan as it prepares the ancient city’s final nomination dossier to become a Unesco World Heritage Site. The temples of Bagan, dating from between the 9th and 13th centuries—when the Kingdom of Bagan ruled over much of lowland Burma—are considered Myanmar’s biggest tourist draw and on par with Cambodia’s Angkor Wat. Despite the historical, archaeological and cultural value, the ancient capital has yet to be granted Unesco World Heritage Site status, allegedly on account of being unable to present management plans to deal with sub-standard, inauthentic restorations and controversial hotel developments in the archaeological site completed under previous governments. Showing a commitment to fixing mismanagement, the ruling National League for Democracy (NLD) government’s Ministry of Religious Affairs and Culture said it would negotiate with developers whose hotels were built within the ancient city’s archaeological vicinity to hotel zones or otherwise outside of the area. “Relevant ministries and hoteliers will be discussing [the relocation] but we have not negotiated with or informed hotel owners officially yet,” said U Aung Aung Kyaw, director of the ministry’s Department of Archaeology, National Museum and Library in Bagan. In early September, the Association of Myanmar Architects (AMA) logged 3,822 ancient monuments in Bagan. Myanmar submitted its first bid in 1996 and failed to receive the status. As the ministry decided in June 2014 to restart the process, the draft nomination dossier to the World Heritage Site Committee of Unesco was submitted in September this year and the final version has to be delivered by February 1, 2018. Significant hotels and landmarks that would be need to be relocated include Nan Myint Viewing Tower, the Bagan Thande Hotel, the Hotel at Tharabar Gate, the Bagan Hotel, the Bagan Thiripyitsaya Sanctuary Resort, one owned by the Eden Group Company Ltd that is still under construction, and multiple others, according to U Aung Aung Kyaw. The government is considering allowing hotel owners at least 15 years to relocate from the archaeological site but the time frame will have to be mutually agreed on by the government and hotel owners, he added. “Regulations will be set up for the relocation after negotiations between concerned parties are finished,” he said. U Chit Khaing, chair of the Eden Group Company Ltd, told The Irrawaddy that he has yet to be informed by the government regarding the issue. Authorities and officials from the ministry have been inspecting his hotel project that is still under construction in Bagan, and no decision or conclusion has been made by government officials, he said. “If [the decision] is in line with the law and is for the benefit of the country, we have to give it considerable thought,” U Chit Khaing said, claiming that the location where the hotel is being constructed was permitted for hotel developments. “If our [hotel project] is a disruption in nominating Bagan to be listed as a World Heritage Site, we have to follow [the decision],” he said, adding that his hotel project will not be considered a disruption within a world heritage site as per his observation internationally. Unesco’s national project officer for Myanmar Ma Ohnmar Myo said the government urgently needed to implement a systematic management plan to preserve ancient cultural heritage while upholding the interest of the local community. “Unesco has suggested that the government start relocation of the hotels only after providing infrastructural needs including electricity and water supplies at new locations,” Ma Ohnmar Myo told The Irrawaddy. She added that if the government could not provide a relocation management plan in the upcoming final version of the nomination dossier, it would impact Unesco’s decision on whether Bagan should be listed as a World Heritage Site. “Mistakes have been made. So the government must show that it understands these mistakes and is willing to and is trying to remedy these mistakes,” she said. “The government’s management plan has to be firm and resolute this time,” she stressed. U Khin Maung Nu, chair of the Bagan Regional Development Association, said hotel developments are extremely close to heritage vicinity sites and not appropriate among the cultural and religious ancient monuments. “Rather than protecting the interest of elites, the government should prioritize the country’s valuable heritage,” U Khin Maung Nu said. 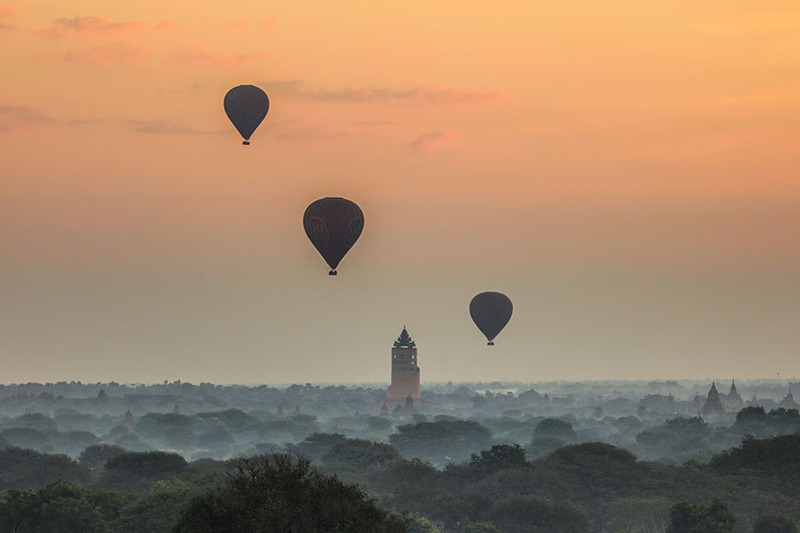 In the 1990s, about 6,000 people from the local community who used to live in the old Bagan area were forced to relocate from the ancient city. After the relocation, several hotel projects were built in old Bagan vicinity and hundreds of ancient temples were rebuilt inaccurately under the management of one of the then junta’s most powerful leaders Gen Khin Nyunt, who wanted the ancient temples to have a “golden” look. “Locals find it insufferable that people who had lived there for generations were forced to move out but hotels are being allowed to operate in the same area,” he said. “If Bagan is listed as a Unesco World Heritage Site, we have to follow its standards and frameworks as a heritage site, U Aung Aung Kyaw said. August 24 marked one year since a powerful 6.8-magnitude earthquake struck central Myanmar, centered about 15 miles west of Chauk town in Magwe Region. According to the religion and culture ministry’s archaeology department, out of more than 3,000 temples and pagodas across Bagan—located north of the epicenter—389 were affected by tremors and needed renovation.